The 34th edition of Miami Dade College’s Miami Film Festival, celebrated March 3- 12, was not only a window to the world on film but also a timely showcase for diversity and inclusion, on and off the screen. The top awards had a distinct Latin accent as “Family Life” (“Vida de Familia”), a Chilean film directed by Cristian Jiménez and Alicia Scherson, won Best Film in the Knight Competition at the Awards Night Gala on Saturday. The award includes a $30,000 cash prize. Daniel Hendler took the prize as Best Director, which carries a $5,000 cash prize, for “The Candidate” (“El Candidato”), from Uruguay; and Lola Amores and Eduardo Martínez shared the Best Actor award, which also has a $5,000 cash prize, for their work on “Santa y Andrés,” from Cuba. Javier Colina (left) and Josemi Carmona. So it’s only fitting that Carmona and Javier Colina, one of the premier and most versatile bassists in Spain, as comfortable in jazz as in flamenco, open the two-concert Flamenco Eñe series at the intimate Carnival Studio Theater at the Arsht Center, Sunday at 7 p.m. 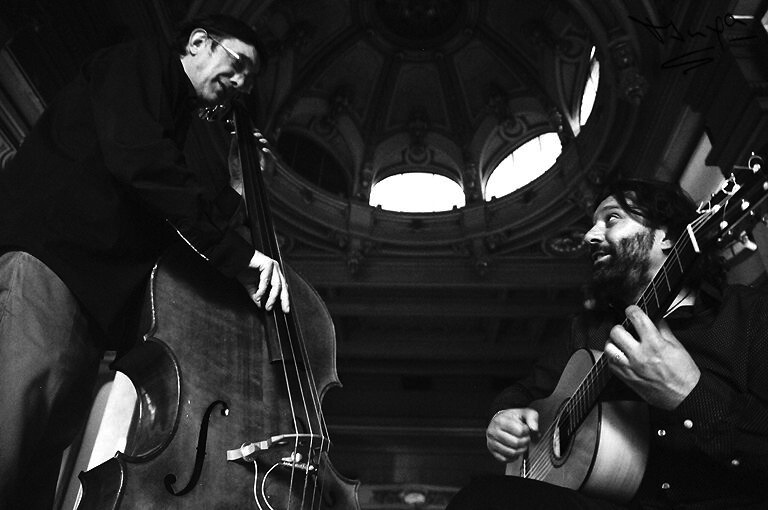 The duo, with the addition of percussionist José Ruiz, “Bandolero,” will be performing music from their recently released album De Cerca (Up Close), which includes nods to flamenco, jazz and the Great Latin American Songbook.